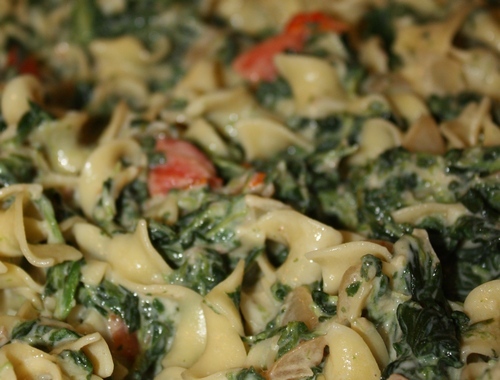 My spinach and egg noodle casserole recipe is a family favorite and is actually pretty easy to make. It’s something I do when I have a lot of vegetables that I need to use and I am trying to work through a pantry/refrigerator clean out. Do you ever do one of those? I’m also trying to be really smart about making recipes that force the kids to eat more vegetables. I am so tired of the chicken nugget nights. It’s all they ask for and I want no part of them. 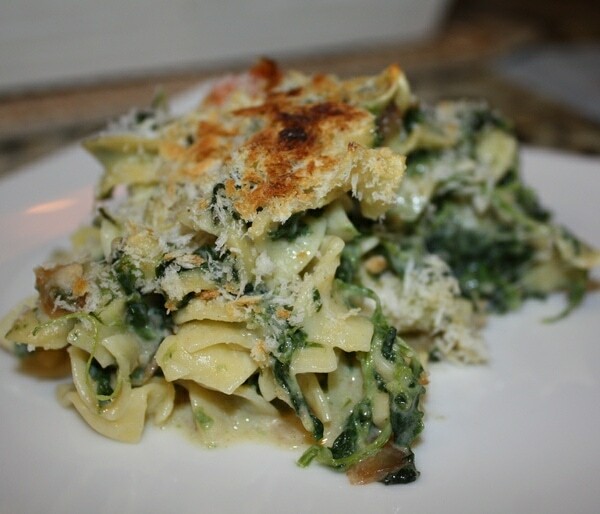 We all do our best and this is my way of trying to incorporate a little spinach into our diet. 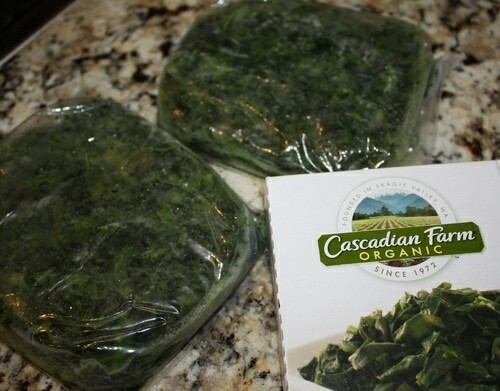 Microwave the spinach according to box instructions. Meanwhile, boil a large pot of water for the noodles. 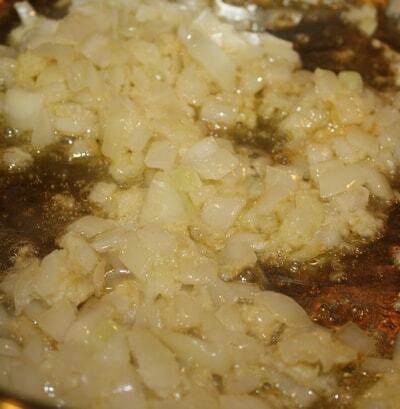 Sautee the onion and garlic with the olive oil in a pan. Salt and pepper. When spinach is done you have to drain it. I don’t have a cheesecloth but if you do, squeeze all the water out. If you are like me – use your hands. Add the spinach to the onions and garlic. 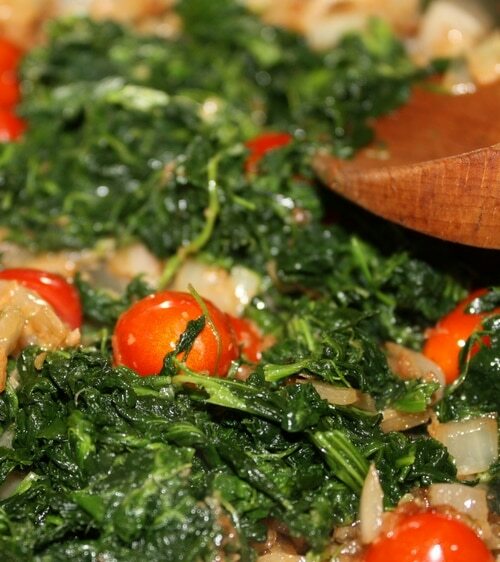 Add sliced cherry tomatoes and cook for a few minutes. Pour entire mixture into the drained egg noodles and stir. 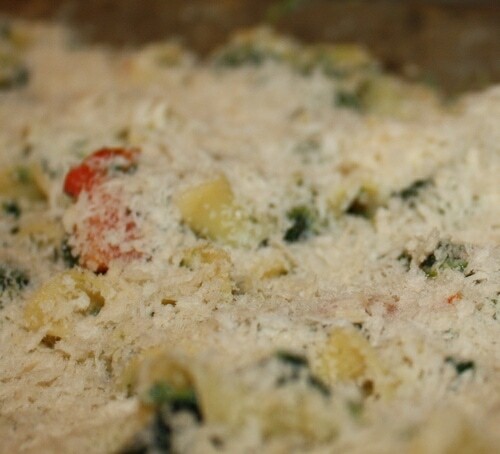 Add your shredded mozzarella cheese and a handful of Parmesan cheese. Stir once more. Salt and pepper. Use the pan you just took the onions and spinach out of and melt the butter over medium heat. Whisk in flour and then the milk. Season with salt, pepper, and nutmeg. 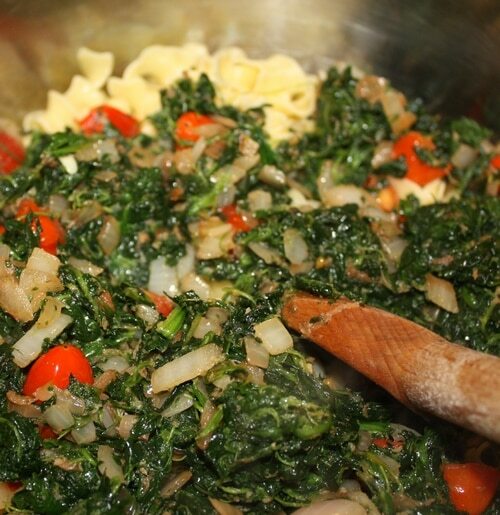 Cook until it thickens – around 5 minutes. In a bowl, whisk the egg yolks and then pour some of the butter mixture into the bowl to temper the eggs. Then add eggs into your pan and cook for a few more minutes. 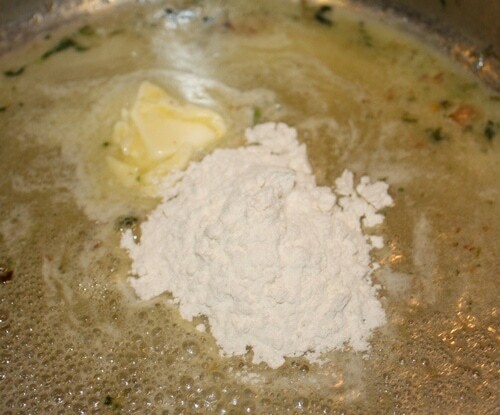 Add the butter mixture to your pasta and stir together. Place in your pan. 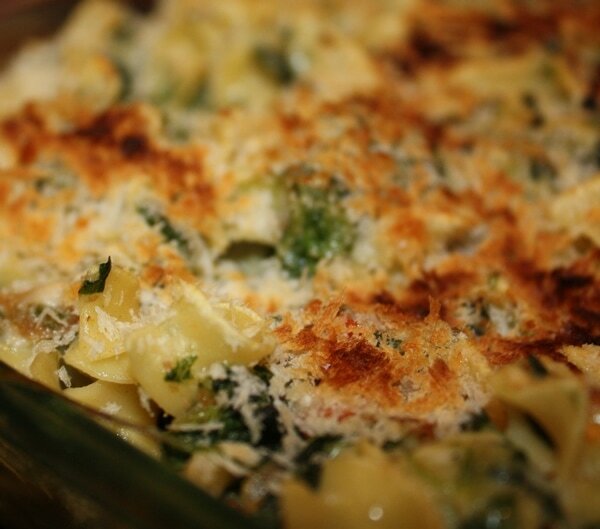 Top with panko breadcrumbs and Parmesan cheese evenly. Place in broiler for a few minutes. Keep an eye that you don’t burn the panko breadcrumbs. This is so important because my oven is evil!!! When you feel good about your browning, take the dish out and serve! The kids LOVED it! For more recipes from Inside my Kitchen, click here. 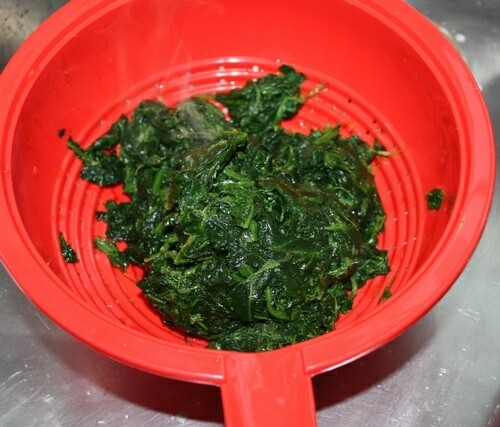 Microwave the spinach according to box instructions and boil a large pot of water for the noodles. Meanwhile, saute the onion and garlic with the olive oil. When spinach is done you have to drain it. I don't have a cheesecloth but if you do, squeeze all the water out. If you are like me - use your hands. Use the pan you just took the onions and spinach out of and melt the butter over medium heat. Whisk in flour and then the milk. 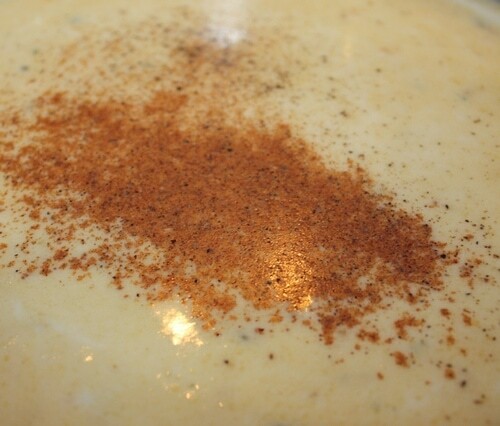 Season with salt, pepper, and nutmeg. Cook until it thickens - around 5 minutes. In a bowl whisk the egg yolks and then pour some of the butter mixture into the bowl to temper the eggs. Then add eggs into the pan and cook for a few more minutes. Add the butter mixture to your pasta and stir together. Place in pan. Top with panko breadcrumbs and Parmesan cheese evenly. Place in broiler for a few minutes. Keep an eye that you don't burn the panko breadcrumbs. Now that’s something I would never have tried on my own – but that looks really GREAT! I totally wish my kids would eat more broccoli, etc. I’ve been considering trying some of those “Deceptively Delicious” recipes or whatever the name is.